ZOO Proactive is a manifesto of transformation possibilities for Silesian Park, which has the potential to become one of the best tourist attractions in Silesia. The park was designed by Prof. Niemirski in 1954, when 600 hectares of former mining wasteland were transformed into a recreation complex. Much investment was done, with features such as a stadium, an amusement park, a planetarium, the ZOO etc. The ZOO covers over 49 ha. No major changes have been made to ZOO’s infrastructure since the 1980s. A chaotic masterplan, epitomized by a long educational route, an investment gap and seasonal offers, have all adversely affected visitor attendance. There is no plan for further development. 1. Concentration of the animal enclosures in zoographical order, enabling a shortening of the educational route. 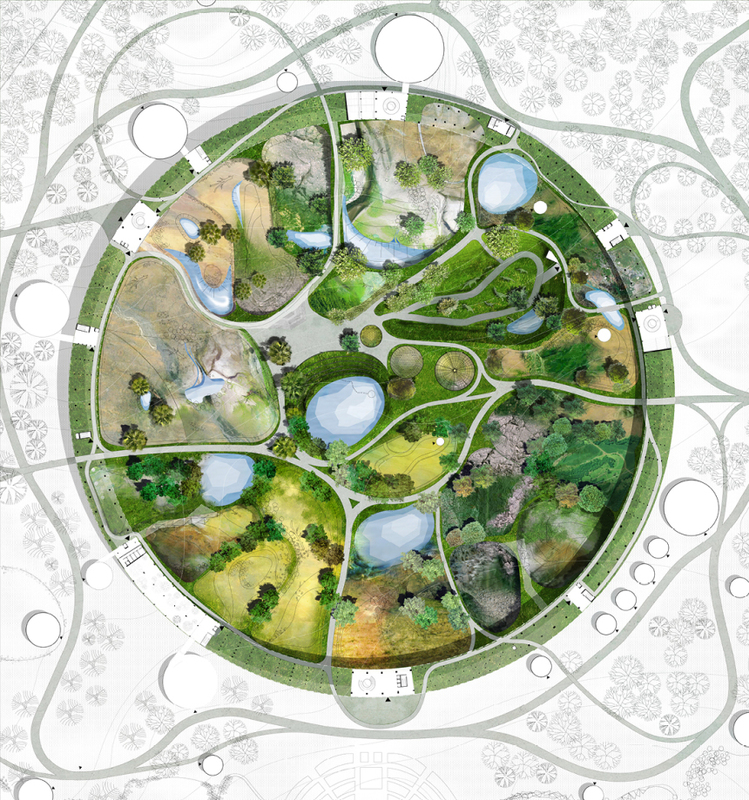 2 The circle – multifunctional building – will turn the ZOO into a self-funding organization. 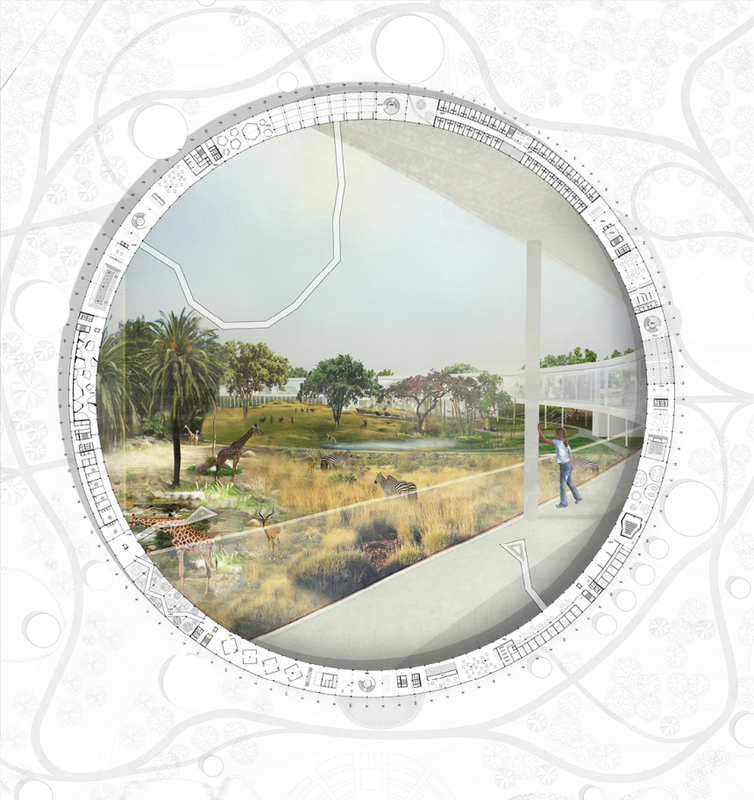 Adding an abstraction layer – lifting this circle – aesthetically binds the urban structure and allows a viewing of the animals. 3. Winter pavilions around the main circle, allowing visits the whole year. 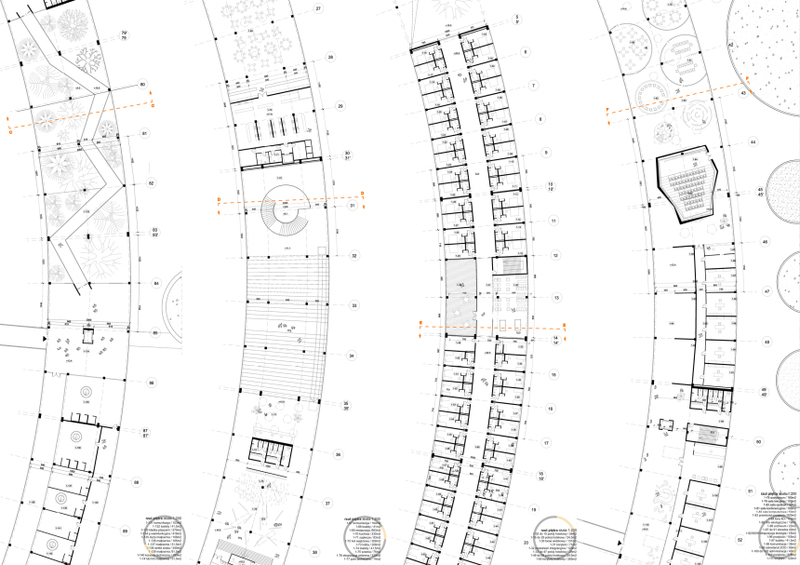 The main circular building with an inner radius of 200m and route width of 20m, consists of 3 levels. The main functions are on +1 floor: exhibitions, vivariums, educational centre, administration zone, and restaurants. This level acts as a viewing platform, allowing for continuous visual contact with animals on the ‘inner courtyard’. Level +1 is connected at entrance level with the underground via ‘topographic’ spaces – multifunctional ramps, stairs, etc. At -1, an aquarium and archaeological exhibition are proposed. 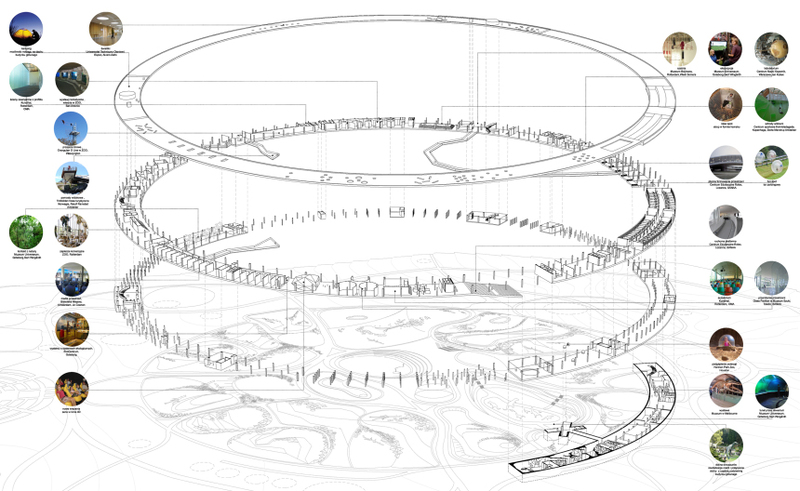 Topographical spaces provide a prolongation of the educational route (about 2km), but also allow the existence of an autonomous part – a hotel that provides year-round revenue. The silhouette of the circular building follows the original topography of the Silesian ZOO, therefore the whole building is 2% ramp (altitude difference 21.2m). 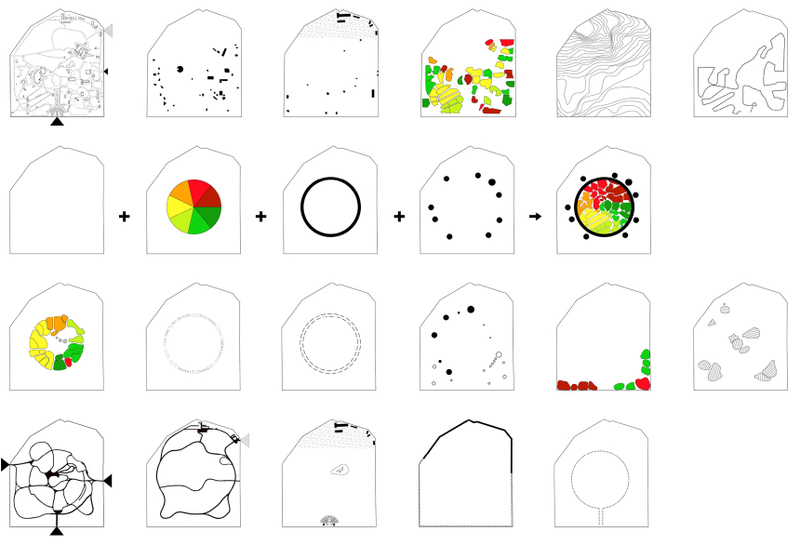 – 2012 – Second Prize for the best diploma project in Architectural Universities in Poland, 2011. – 2011 – First Prize for the best diploma project in Silesia University of Technology, 2011.